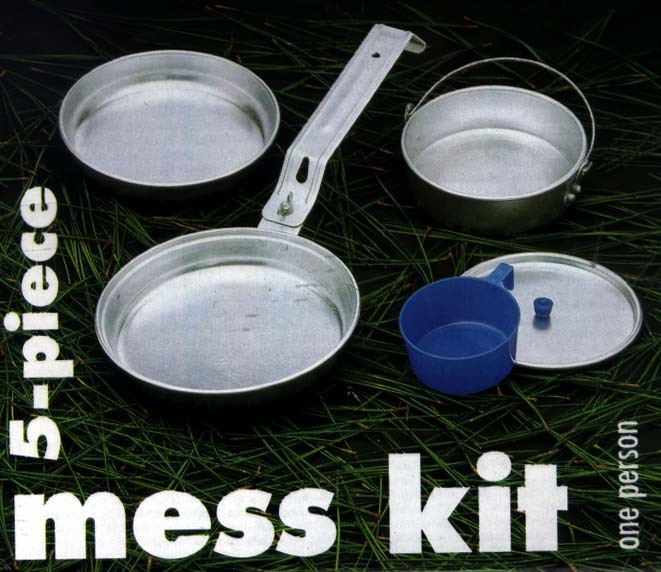 The next item I recommend for your ESK is a mess kit. These kits are light and fairly compact. Trust me. They are worth carrying. They usually contain a plat/bowl, a handle, and a section for cooking. They are made of aluminum and may rattle a little. I wrap the components with paper towels and then pack it.